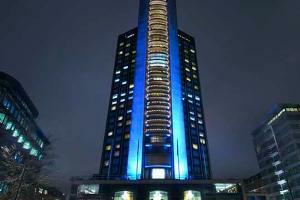 The London Hilton on Park Lane hotel affords stunning views of London from all its guest rooms. Set in the heart of Mayfair overlooking Hyde Park, this award-winning hotel offers a Michelin-starred restaurant and bar with panoramic city views. Located just 15 miles from Heathrow Airport.